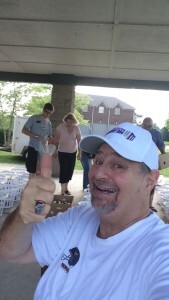 Working Bountiful Baskets on Saturday. Still loving those veggies! The “Downhill Climb” pretty much remains on a plateau as I move into day 117. I still struggle with my heel pain (see my last post) and we have had grueling schedules the past week as Julianne and I prepare for a trip to the Seattle area. But we still move forward to try to eat right. Schedules make it difficult so we ended up eating out quite a bit last week…not a good thing when trying to get the weight off and control what goes in our mouths. During the weekend we ate dinner at Jalapenos Mexican Restaurant. We have always like that place but had not been there for quite a while. Their guacamole is really good. But they have a scant offering on their menu for those that only eat veggies. 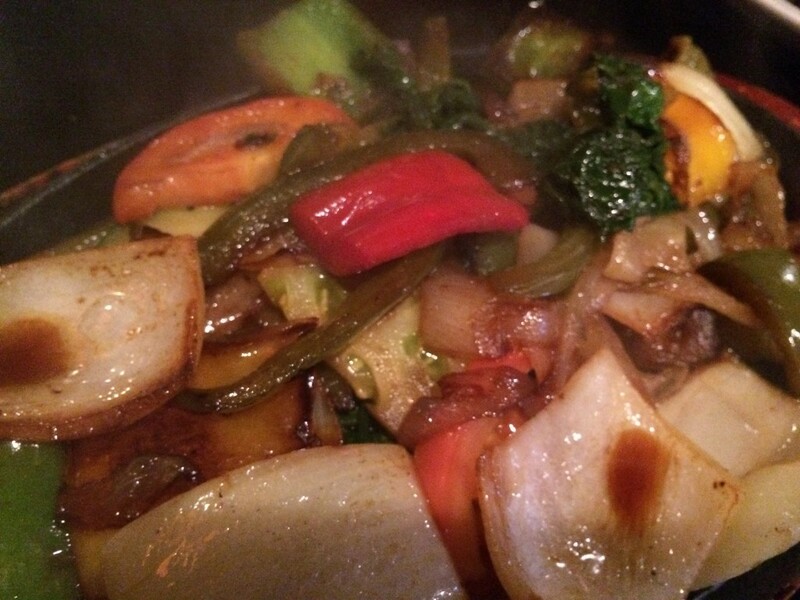 I ended up ordering their fajitas…which sounded good and were loaded with veggies. However, their grilled veggies were obviously grilled in loads of grease and were indeed really greasy…ugh. But, they did taste good. Fortunately, I have not gained too badly. 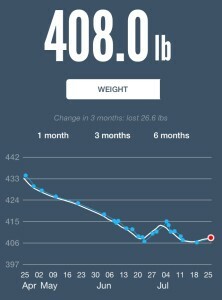 I weighed in this morning and was at 408. I am already learning that some of this could be water retention, etc. I am not sweating it too badly. However, I am really frustrated because it is so difficult to walk as a result of my heel. I know that if I were able to walk more and be more consistent that the weight would drop quicker. I really want to do some “Seattle Two Mile Smiles”…. One point of excitement came this weekend as I had to go out and buy new pants. My other pants are falling off so I had to get something new. The last time I bought pants was over a year ago and they were a 66 waist size. On Saturday I was able to get size 60 pants. And they are actually fitting comfortably! This is the first time in ages that I have dine the opposite of “outgrowing” my pants. Really feels good to have to buy smaller ones. 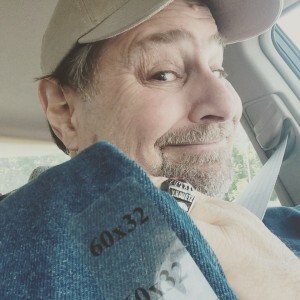 I lo0k forward to the day that I will have to get size 56 or 54 or even 50 pants. It WILL happen…its just a matter of when. 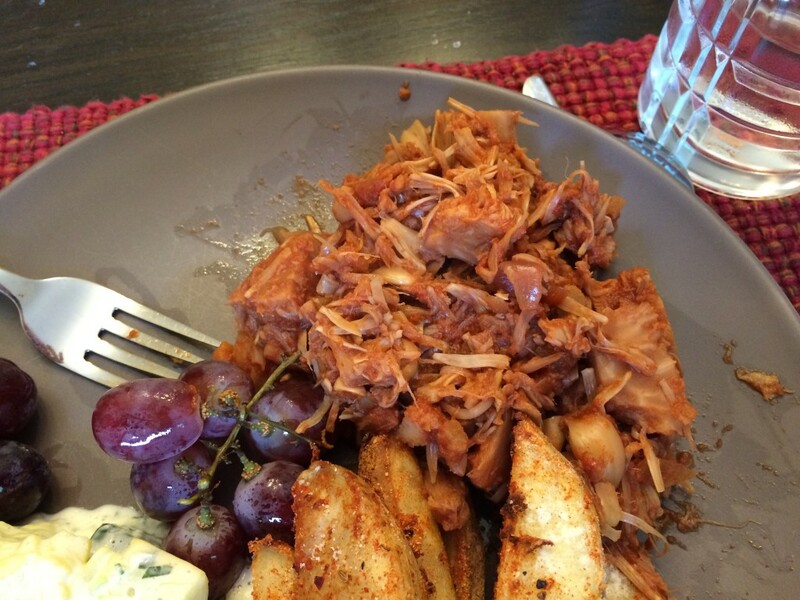 Yesterday we had family over for dinner and had our new favorite…jackfruit BBQ. Julianne tried her hand at a home made BBQ sauce, but it was not as strong and zingy as those we have bought in the past. Nevertheless, dinner was good. She made some awesome “fried potatoes” that were actually baked with spices. She also made a nice dish with zucchini and yellow squash, but it was infused with leftover cream cheese from our daughter’s wedding a couple of weeks ago. We didn’t want it wasted. The stuff was great, but loaded with fat. To finish it off, she had also tried to use all of the apples to make an apple crisp. We had butter leftover so she used that in the apple crisp. We also snuck in a little ice cream. But heck, it was a family get together. So, tonight it is off to Seattle. 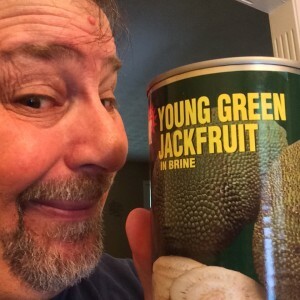 We’ll be making efforts to continue on the whole foods course, but there may be a couple of “slip days” along the way as we travel and focus more on fun times with family and grand kids rather than worry about what we are eating. It is a vacation…. More from the road soon! Team Sumoflam continues to press forward towards 400 Independence. Its around the bend somewhere….